“If traveling was free, you’d never see me again.” This famous quote has probably crossed your mind at least once. Obviously, who wouldn’t want to travel around this beautiful world? Everyone has their own list of must-visit places, but the world is vast and you’ll need a bigger paper for your list of favorite places after you witness these 10 most marvelous places in the world. You might want to add them all to your bucket list. All the narcissists out there should visit the world’s largest mirror. This breathtaking sight was originally a wide lake. For some reason, the lake went dry, leaving a beautiful desert-like, salt-filled landscape. When it’s covered with water from rainfall, this landscape amazingly becomes as reflective as a mirror. 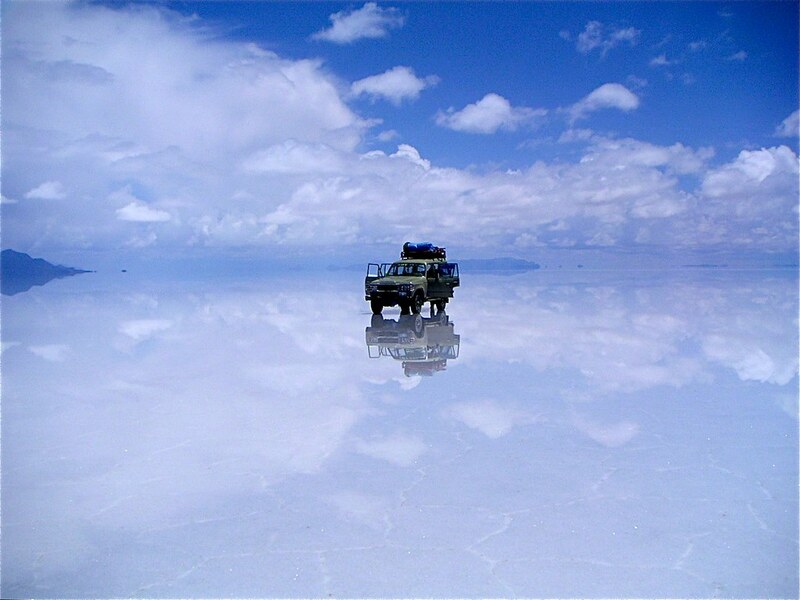 Today, this scenic place is considered to be the largest salt flat in the world. If you want to enjoy nature in the woods, visit Redwood National Park in California, USA. 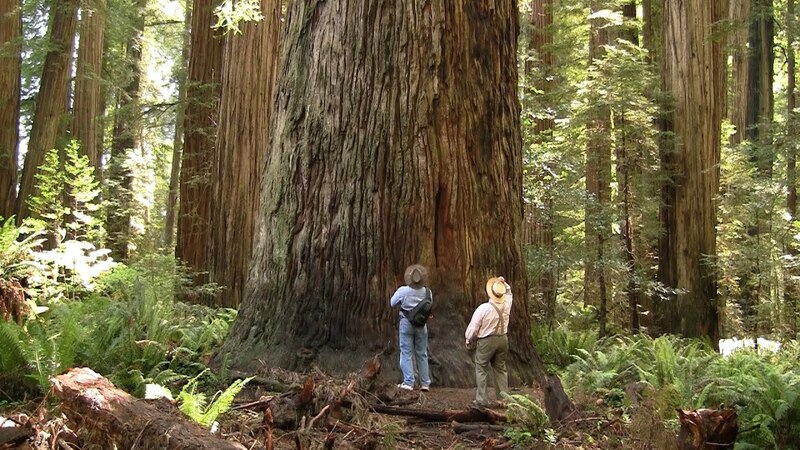 This 133,000-acre park is home to the tallest growing tree in the world, the redwood tree. This species of trees can grow up to 300 feet tall. Nature really is a big artist. These massive rock formations have been perfectly carved by the Colorado River over hundreds of years. This is the kind of place where you’d want to shout all your anger and frustrations into. You can climb to the top and embrace the peaceful solitude. 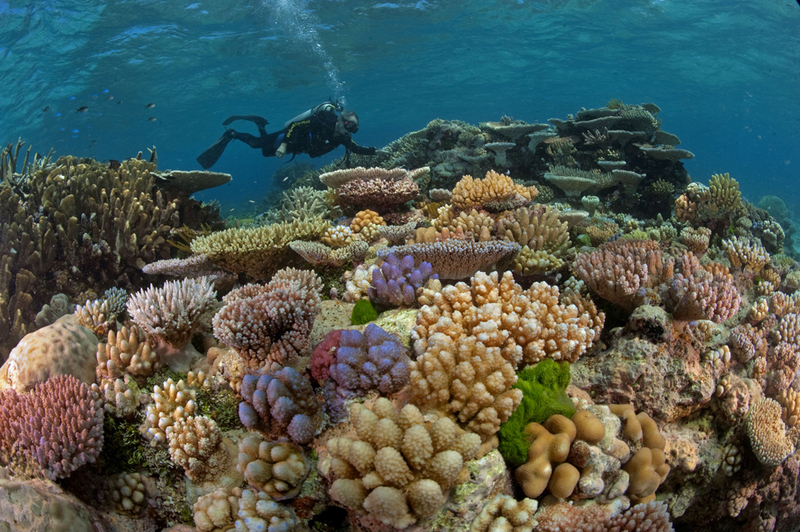 For those who love the water, diving and snorkeling deep into The Great Barrier Reef will be amazing for you. As one of the Seven Wonders of Nature, this place offers the biggest collection of coral reefs, spanning more than 1,400 miles. 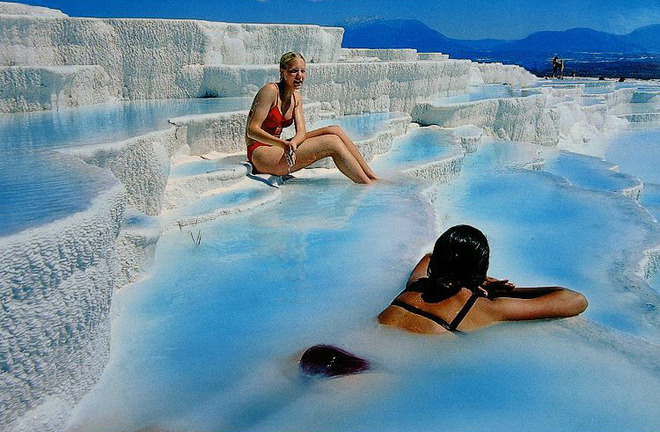 Pamukkale is probably the best place to unwind. You can dip and relax all day in one of the world’s biggest natural hot springs. This place is the largest religious monument in the world. It is the biggest tourist destination in Cambodia. Its unique architectural design makes it a place worth visiting. One of the most unique cities around the world is the wonderful city of Venice. 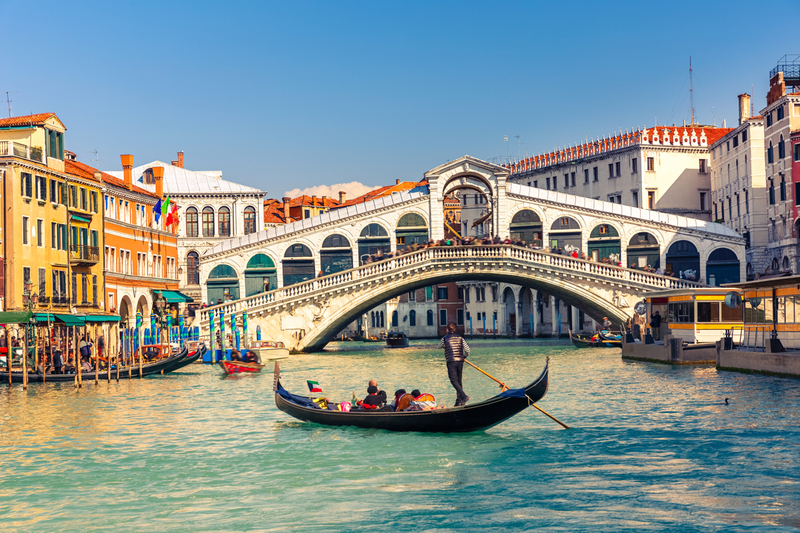 You can enjoy boat rides to every destination while exploring Venice. Bora Bora is one of the most legendary tropical islands in the world. It sits on the southern part of the Pacific Ocean. It’s truly the kind of paradise we all dream about. This island is the complete package – white sand, clear waters, green mountains, and cool huts. Have you ever looked up at the sky and instantly fell in love with it? If you have a thing for astronomy, you’ll love to lie on your back and check out the wonderful Aurora Borealis in the star-filled skies of Iceland. You won’t have to chase after waterfalls in Croatia. This park is filled with falls, lakes and rivers, all clear and blue, gushing through the lush greenery all around.